Tapping notes with your right hand is a great way to extend your bass chords. I’ve seen lots of bassists do this, particularly in solos. It’s not as difficult as it looks and it works really well for playing extended harmonies. Even on a 4 string bass where it’s often hard to voice extended chords with just your left hand. This isn’t my first video about playing chords on the bass. So, if you’re new to this, then I’d highly recommend checking out some of my previous videos. Like this one, which is the first of a four part video I did on bass guitar chords. More recently I made this video about playing chord extensions on bass guitar. This video features a different approach to playing jazz chord extensions. By tapping the extensions with your right hand. Using this technique, you can really open up your chord voicings by playing harmonies in a completely different register to the notes you’re playing with your left hand. I should start by saying that my tapping technique is basic. I don’t use tapping techniques a lot. 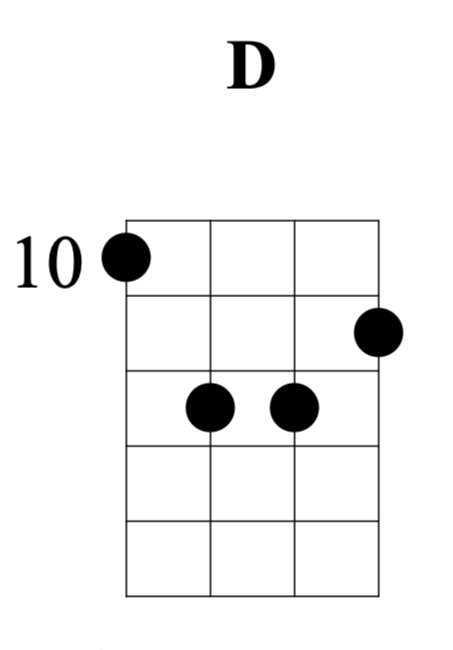 In fact, these types of chords are pretty much the only places where I will use my right hand to tap chords. But I think that’s also the case for most bass players. Right-hand tapping is rarely a first choice technique for bassists, it’s an added extra that you can use on solos. Having said that. I know that there are musicians for whom tapping is there principle technique, and they have much more advanced techniques using four fingers on their right hand, just like their left. My basic tapping technique involves hammering on, sliding and pulling off notes with my index, middle and ring fingers on my right hand. It’s all I need for what I do. Diatonic triads are just basic major and minor chords that you find in every key. 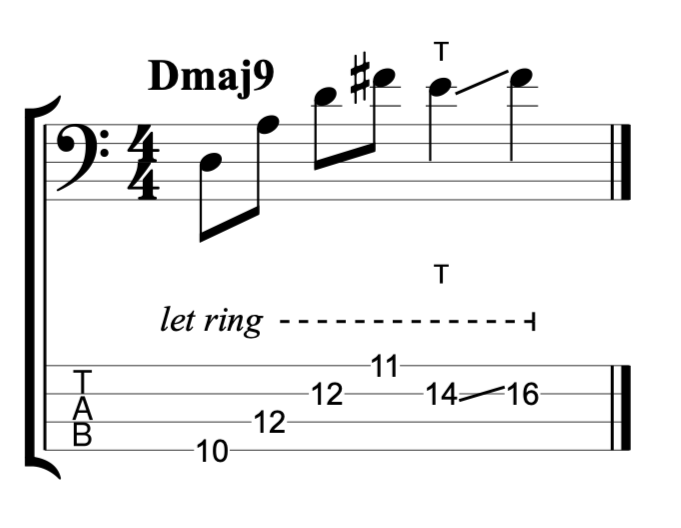 (You could also include diminished and augmented triads but I’m just using major and minor here). The first four chords, in the key of D major are D, Em, F#m and G. Here is how I have voiced those chords with my left hand in this video. 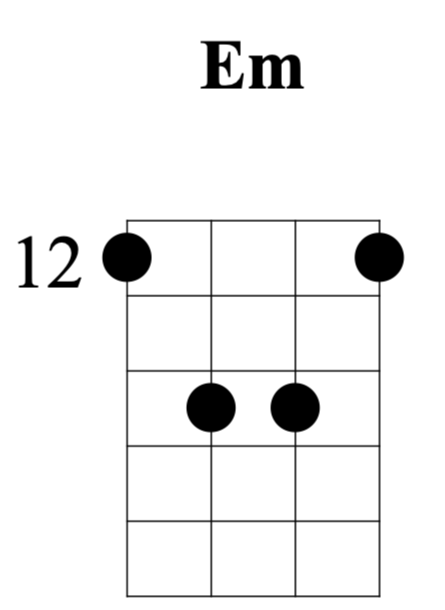 These triads form the basic chords onto which I can add my chord extensions with my right hand. With each chord, I start by playing each triad, plucking the strings with my right hand, Thumb plays 4th string, index plays 3rd string, middle plays 2nd string and ring finger plays 1st string. Or p, i, m, a, to use classical guitar terminology. 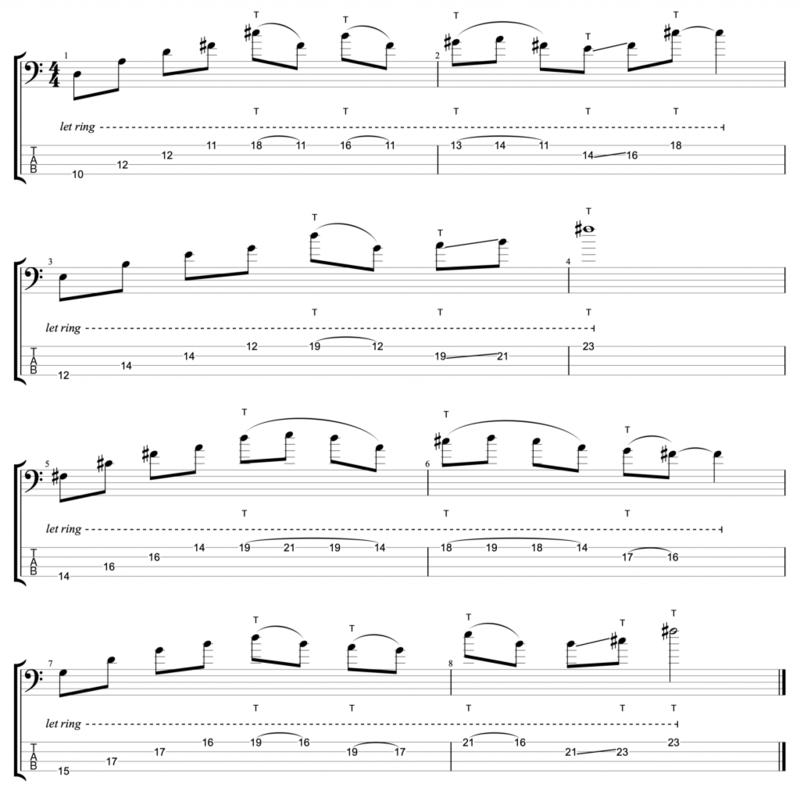 None of these notes are tapped, they are fretted with the left hand in traditional style. Start by adding chord extensions on just one chord. 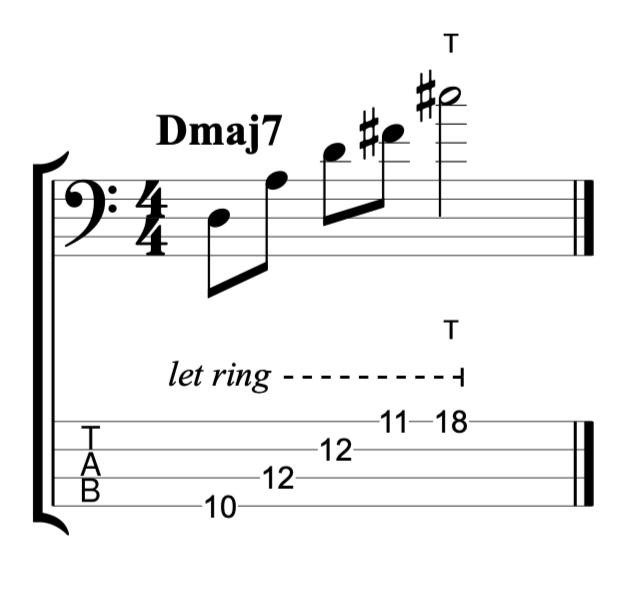 In this example I’ve added a major 7th to the D major triad making it a Dmaj7. The 7th is the only note tapped by the right hand. 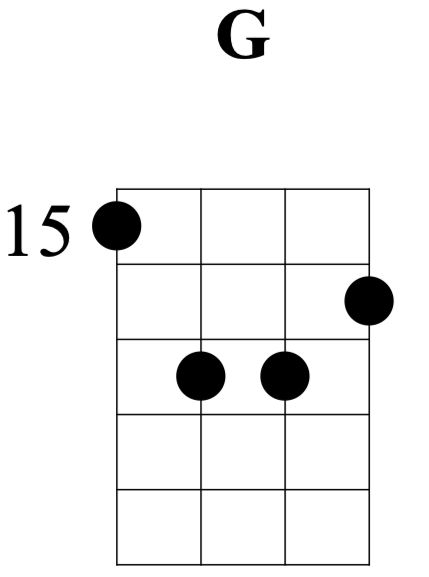 Make sure you tap the note onto the 18th fret. 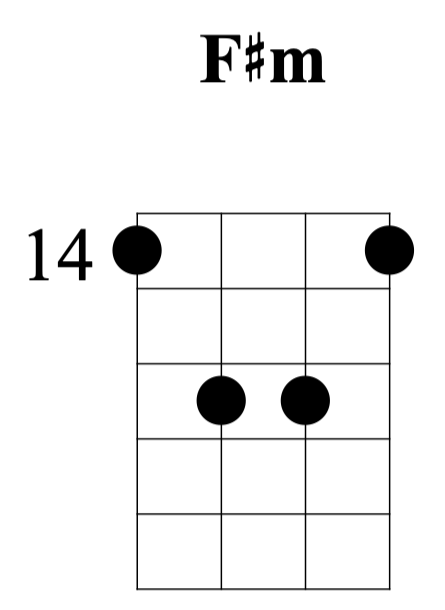 If you tap in between the 17th and 18th fret, it won’t sound as clear. In this next example, I’ve tapped a 9th, E, and slid the note up to the major third F#. In this third example I’ve included the major 7th and the 9th. Once you’ve got used to the technique, try playing this exercise. There’s quite a lot going on here, so I won’t write an exhaustive analysis. But here’s a quick guide. 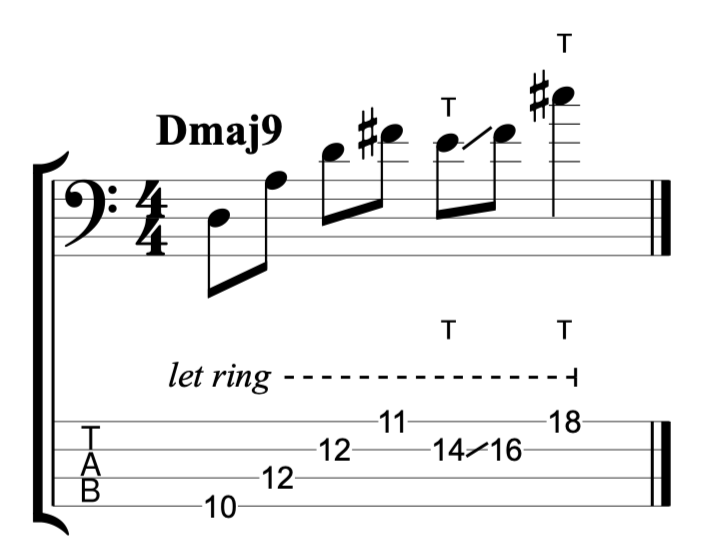 Over the D triad I’m tapping major 7th, 6th, #11th and 9th. On the E minor I’m adding minor 7th, 11th and 9th. On the F# minor I’ve used minor 6th, minor 7th and b9th and on the G major triad I’ve played similar extensions to the D major. Major 6th, 9th, major7th and #11th.